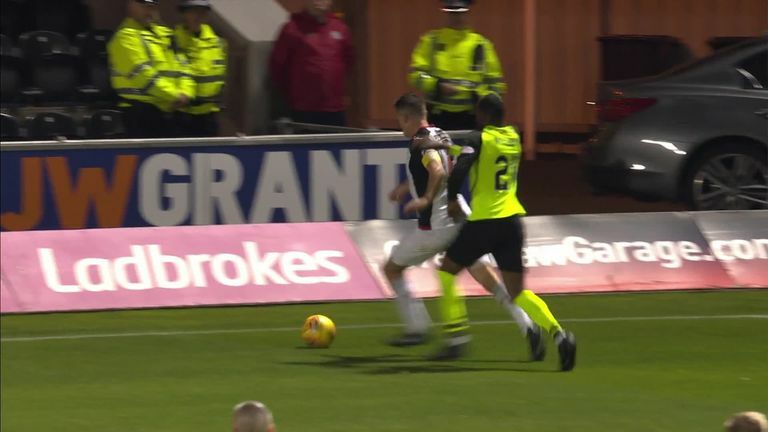 Olivier Ntcham was sent off for two yellow cards in Celtic's 0-0 draw at St Mirren. Brendan Rodgers criticised a "poor demonstration of officiating" after Olivier Ntcham was sent off in Celtic's goalless draw at St Mirren. In the 37th minute of Oran Kearney's first game as Buddies boss, the French midfielder was shown a second yellow card by referee Andrew Dallas for his challenge on Saints skipper Stephen McGinn. Asked how he felt the officials performed, the Northern Irishman said: "Not very good, to be honest. "I never like to focus too much on the referees but for both teams, I didn't think any of the four officials were very good at all. "I don't know if it's a mark of all the attention that's around them at the moment. But there were lots of incidents he got wrong, and for St Mirren as well. The sending-off, for me, is not a second yellow card. "If you watch it again, the first one is a booking and we take that. But before the second one, there is an incident when Olivier makes contact with the ball and wins the ball, but the referee gives a free-kick against us. "Then when you see it in the corner Olivier is running across to block the ball up the line and the St Mirren player is falling over as he plays it and at the same time Olivier slides but doesn’t have contact with the player. "So from that - and it's in the corner, which makes it lively - then the referee falls for it and he gets a second yellow. For me, it wasn't a second yellow or a sending-off. "Listen, it's simple - I don't think they were good." The former Coleraine manager said: "It is a massive point, one we wanted and one we are delighted to have. "We wanted a performance first and foremost and I am delighted with the manner the players have gone about their business, that was the key."